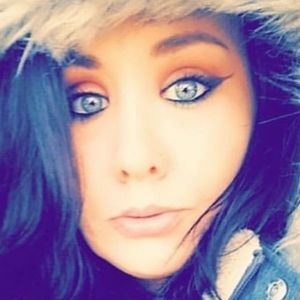 Brittany Renee Martin, born January 3, 1984, age 35 of Elyria passed away in Maryland on Sunday, April 7, 2019. Brittany was a gorgeous, funny, smart, loving, loyal, strong mother, daughter, sister, partner, and friend. She loved music, dancing, fashion, old movies, horses, comedy, and nature. Brittany struggled for many years with substance abuse that left her with underlying health problems. After one year of sobriety, Brittany passed away peacefully in her sleep caused by these health issues. Brittany's greatest accomplishment, apart from her children, was overcoming her battle with addiction and achieving sobriety. Above all, Brittany loved her family and her family loved her. She is survived by her children Keegan Pitts and Kyra Martin; her mother Bridget Riley; her sisters Destany Durazo Riley and Bethany Martin; nieces and nephews Payton Amoroso, Luca Fox Miller, Jed Fafard, and Daisy Durazo; her partner Robert "Bobby" Russell. She was preceded in death by her father Walter Byron Martin, companion Joshua Pitts, Aunt Renee and her uncles Danny and Joe Riley. Add your thoughts, prayers or a condolence to Brittany's guestbook.